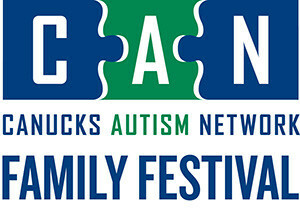 On Sunday, April 9th, 2017, the Canucks Autism Network will be hosting the 6th Annual CAN Family Festival, a fun-filled, family friendly event in celebration of Autism Awareness Month. Please help us support individuals and families living with autism in BC by signing up to fundraise or by sponsoring a participant! The CAN Family Festival will take place between 10:00am-2:30pm – please go to Event Details for more information about the event. This entry was posted on April 9, 2017 by Events Manager.